Nobody likes to be told that they’re doing a bad job, but that’s exactly what the data says about workplace wellness. Statistically speaking, we’re doing a terrible job of taking care of our employees’ health. One need only look at the trends in disease prevalence, healthcare spending, and the gap between healthy behaviors and employees’ actual behavior, and it’s not hard to see that wellness, as we know it, is headed for a fundamental shift. Not convinced? Let’s take a look at the signals. 1) Our employees are unhealthy… and getting unhealthier. Pay attention to that list and you’ll notice how many conditions are interconnected. Weight issues, smoking, sleep, stress, lack of activity, diabetes, cardiovascular disease, cancer, all inter-related, and many are a direct link to lifestyle and behavior (more on that later). By any reasonable stretch of the imagination, that’s not a healthy group, and if it pained you to read through that list, brace yourself, because it doesn’t get much rosier from here on. The incidences of many of the above-listed conditions, including the costliest to treat, are growing, not shrinking. 2) We’re not doing enough to meet the rising cost of healthcare. We spend $125 billion on cancer. We spend $245 billion on diabetes. We spend $320 billion on heart disease. For those keeping track, that’s $690 billion, or about 86x the amount we spend on preventing all health conditions for our employees, just to manage those 3 conditions. Our workforce is becoming more sedentary every year, costing us more and more to treat and insure. The corporate wellness market is growing at about 5% a year, whereas the cost of healthcare is rising at closer to 6%. On the surface that doesn’t sound so bad, but 5% of $8 billion is pennies compared to 6% of the roughly $3 trillion spent on healthcare. The costs of care are rising at a higher rate than our spending on prevention (and inflation, but that’s another article altogether), and when we combine this trend with signal #1 (our employees’ health is getting worse) we’re faced with the stark reality that our collective efforts to keep our employees healthy is not presently effective enough to maintain parity with the rising costs to treat their health problems, let alone reverse the trend. … we’re faced with the stark reality that our collective efforts to keep our employees healthy is not presently effective enough to maintain parity with the rising costs to treat their health problems…. As employers, we’re arguably the single entity that’s most invested in the health of the individuals we employ, outside of the individuals themselves. Whether you look at insurance utilization, sick leave, employee productivity or any other metric, when our employees are sick, it costs us. It costs us in both intangible ways (such as team members being absent) and in perfectly tangible ways (unhealthy employees cost more to treat and insure). For example, a 2008 study found that medical costs for those who are obese are $1429 higher than those of a normal weight. If you have 1,000 employees, and statistically speaking, 36% of them are obese, they’re literally weighing your company’s healthcare utilization down by an additional $514,440 each year. Let that sink in as we move to signal #3. 3) We focus on symptoms rather than behavior. Take a moment to re-read signal #1 of this article and note how many of those morbid statistics all share a direct link to behavior. Lack of activity, smoking, stress, poor diet; they’re all lifestyle related, meaning that the risks to the chronic diseases associated with them are, at least to some degree, mitigable. This is, ultimately, the lynchpin for both of the above signals. The CDC has stated outright that chronic diseases are now the #1 threat to American lives, ahead of infectious diseases, and that lack of activity is the #1 contributor to chronic diseases. Lack of activity has been linked to heart disease, obesity, depression, breast cancer, osteoporosis, lipid disorders, anxiety, stroke, type 2 diabetes, colon cancer, hypertension and all cause mortality, among other maladies. 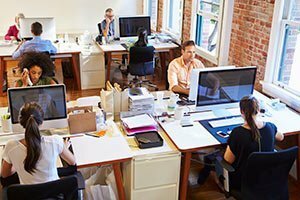 Meanwhile, we, as employers, are paying more and more employees to sit in front of a computer all day, every day, decreasing the amount of activity and increasing the amount of sedentary time for our workforce, year over year. We’re trending in all the wrong directions. But what are we doing wrong? If we, as employers, are doing our jobs to keep our employees healthy, how is it that they’re still so overwhelmingly unhealthy, getting more unhealthy, and costing us more every year? 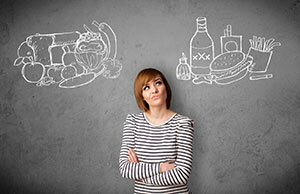 Wellness will continue to fail until it succeeds in enacting long-term healthy behavior change. The problem isn’t knowledge. As you read this article you know that smoking is bad for you, but nearly 20% of you still smoke. You know that french fries are unhealthy, but 25% of you still eat fast food on any given day. You know that you should exercise, but 95% of you don’t bother to get off your butts for even the bare minimum recommended by the U.S. Department of Health. The hard truth is that most companies’ wellness initiatives don’t address long-term behavior change and are, as a result, simply not all that effective. Not for a lack of effort, of course. They may have the right intentions, but the tactics only touch the surface, leaving the underlying behavioral issues to remain or worsen. 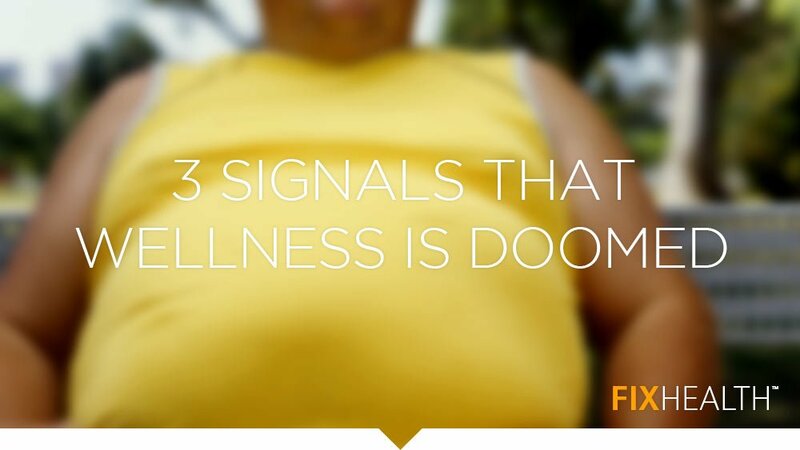 It’s this approach to wellness that is confounding signals #1 and #2. We’re simply not doing enough to change the unhealthy behaviors of our employees to keep them from getting unhealthier and costing us more. It’s this combination that will, at some point, come to a head. Whether that’s in the near term or the long term, driven by rising costs or industry innovation, at some point the current state of the industry breaks. Companies who focus on behavioral modification are almost certainly going to be ahead of the curve, with the rest following suit down the road. Until then, get your pocketbooks ready. This is going to get expensive.